The Alps have a unique climate and picturesque beauty that is unlike anywhere else in the world. 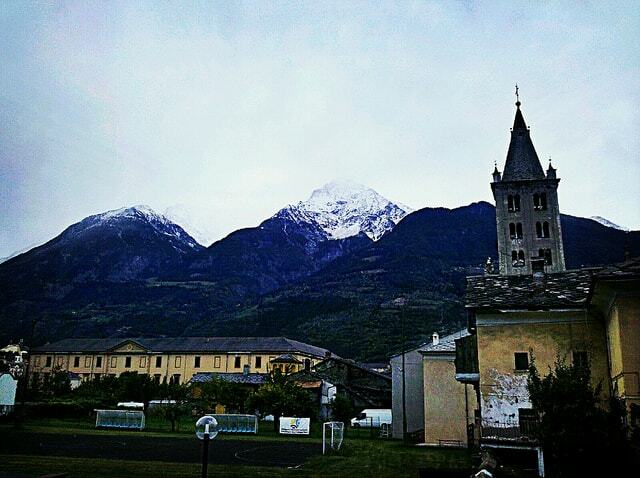 However, while they’re all beautiful, some Alpine towns are more so than the others, so here’s a pick of the best. 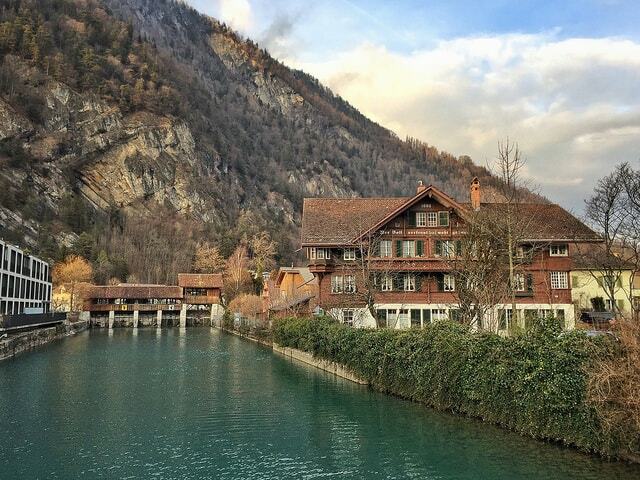 Interlaken is located in the Bernese Oberland region of the Swiss Alps. The town became a popular destination for artists during the 19th century, and is captured in the landscape works of Franz Niklaus König and other Swiss artists. Nowadays, it is frequently visited by backpackers and travelers who come for outdoor pursuits such as skydiving and paragliding. The town also boasts a number of Victorian hotels, such as the Hotel Royal St. George, a former monastery, and Hotel Victoria-Jungfrau, which are both listed as Swiss heritage sites of national significance. 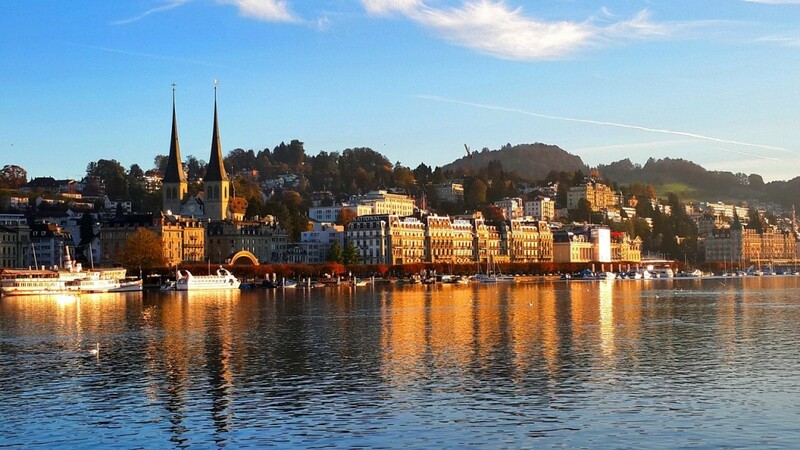 Lucerne is largely German-speaking and is located on the shore of Lake Lucerne, in central Switzerland. It has breathtaking views of Mount Pilatus and Rigi, so it is no surprise that it has been a popular tourist destination for years. 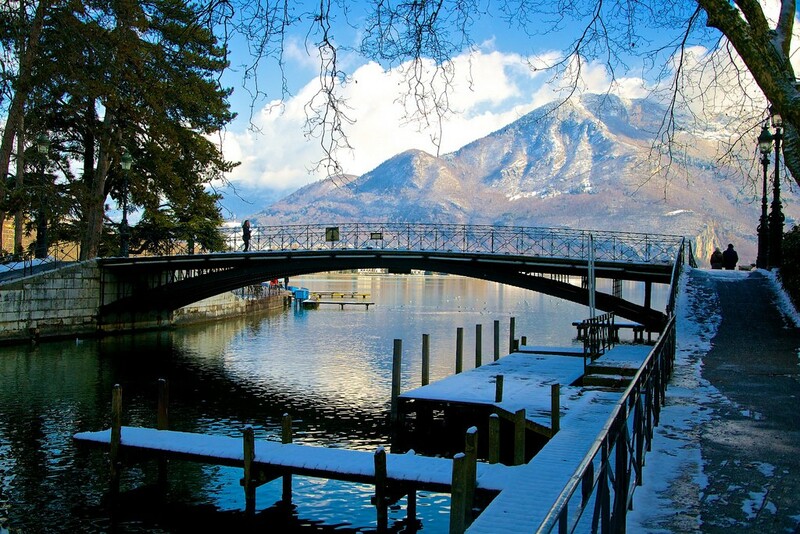 The city straddles the Reuss River, and thus boasts a number of historic and modern bridges. One landmark bridge is the Chapel Bridge, which was first built in the 14th century from wood, and is said to be one of the oldest covered bridges in Europe. For art lovers, the bridge is internally decorated with 17th-century paintings depicting events from the city’s history. Lucerne also hosts a number of annual art and music festivals. 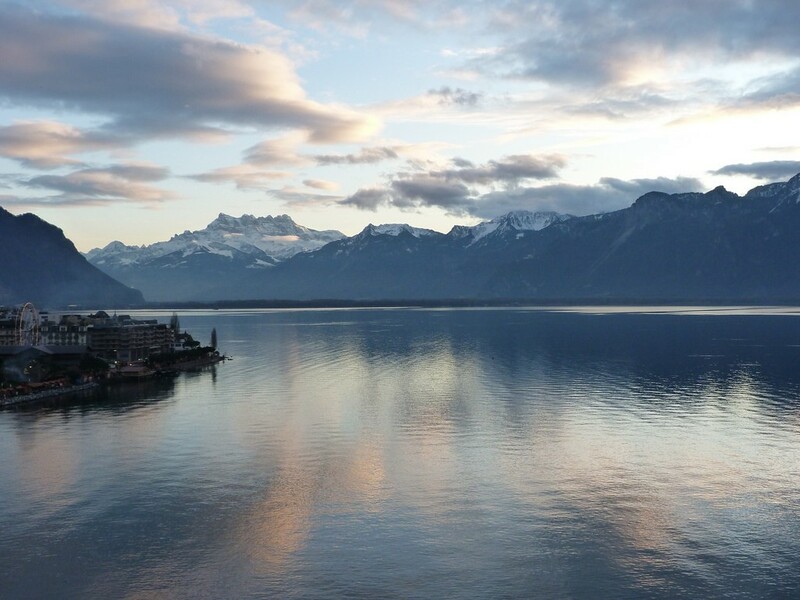 With spectacular vistas of Lake Geneva, and famed for its jazz festival, Montreux is steeped in musical history. The town hosts a number of other music festivals, such as its September Musical, which was founded in 1946. Freddie Mercury lived in Montreux, as did the singer Shania Twain, and there is a statue of the Queen frontman in the town. Deep Purple recorded their famous album Machine Head, which features the track ‘Smoke on the Water,’ in Montreux. It is said that this track details the burning down of the town’s casino by a Frank Zappa fan. English explorer Edward Whymper brought this town to international attention when he conquered the Matterhorn, Switzerland’s highest peak, in the mid-19th century. Zermatt provides incomparable views of the Alps, and the river Matter Vispa trickling through it only adds to the charm of this small town. There are a number of cable cars and chair lifts for skiers, and for those who have a head for heights, the Gornergrat Bahn – the highest open-air railway in Europe – runs to the summit of the Gornergrat. Almost all the cars in the town are electric, making Zermatt very eco-friendly. Other culturally significant attractions include the petroglyphs and prehistoric grinding stone at Hubelwäng. Northwest of Turin is the Italian town of Aosta, situated near the Italian entrance of the Mont Blanc Tunnel, in the Aosta Valley. The town naturally has Roman roots, and was once of ancient military importance due to its location. Evidence of its conflicted history is still visible in the walls of Augusta Prætoria Salassorum, which are preserved in almost perfect condition. There are towers dotted along these walls in good condition which also hold historical importance. A Roman theatre, an arch dedicated to Augustus, and an ancient cathedral further reveal the town’s unique culture and development. This a must-visit town for any history buff. 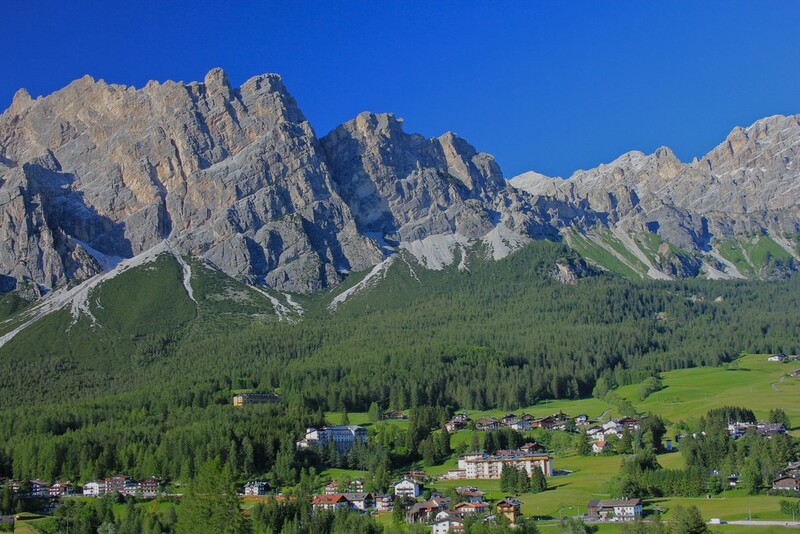 Located on the Boite River, in the heart of the southern Alps, is the town of Cortina d’Ampezzo. Travelers come from all corners of the earth for this town’s ski amenities, boutique accommodation, and spectacular scenery. In the 19th century, Cortina d’Ampezzo was a craft centre, and produced many handmade wood, glass, and copper items, which led to a growth in tourism to the area. Important cultural institutions include the town’s Modern Art Museum, the Palaeontology Museum, and the Ethnographic Museum. A famous historical landmark in the town is its basilica, which was constructed from 1769 until 1775. Its location has also provided the perfect backdrop for a number of films, such as The Pink Panther (1963) and For Your Eyes Only (1981). Cortina d’Ampezzo also has a thriving music scene, with the annual Dino Ciani Festival and Academy attracting international music lovers. 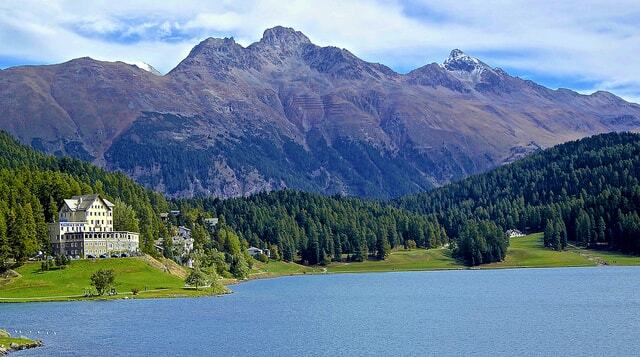 Found in the Engadine valley in Switzerland, St. Moritz is another notable sporting town with unbeatable views of Europe’s majestic mountain range. The town is named after St. Maurice, an early Christian saint from Egypt who is said to have been martyred in the town. The Winter Olympics were held twice in St. Moritz; first in 1928 and again in 1948. It has since held many more sporting events, such as sailing and windsurfing competitions. The town also boasts one of the world’s oldest natural bob runs, which spans 1,722 metres, and is made from just snow and water. 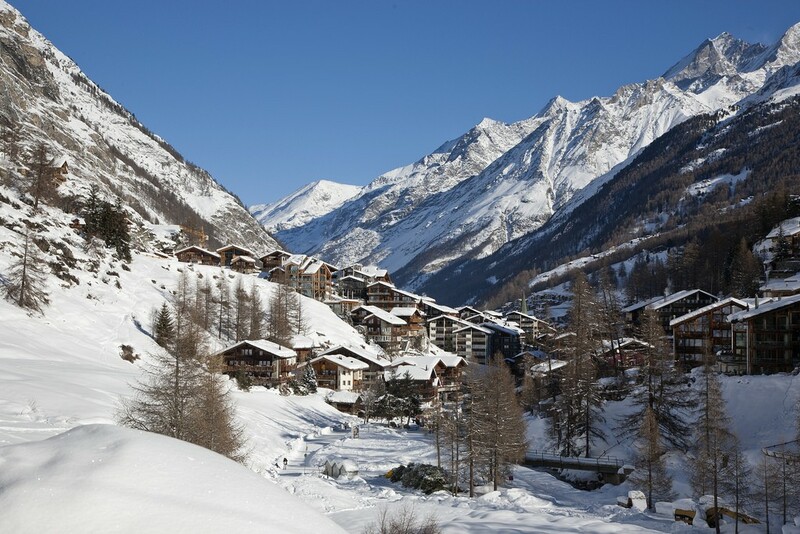 St. Moritz is regarded as one of the most expensive ski resorts in the world, and has attracted jet-setters worldwide. It opened the first tourist office in Switzerland in the 19th century. The town was the first in Switzerland to have electricity, and also hosted the first golf tournament. Its amazing beauty has often been featured in films, such as the opening scenes of Alfred Hitchcock’s The Man Who Knew Too Much (1956). Chambéry is positioned in the valley between the Bauges and the Chartreuse Mountains on the Leysse River, in the Rhône-Alpes region in south-eastern France. It is also a major railway centre, connecting France and Italy. In ancient times, the town’s name changed many times, but its current name is said to derive from the Gaulois term camboritos, which means a ford situated in a curve. The city is the capital of the Savoy region, and reveals the region’s history. The Château de Chambéry is evidence of this rich past, displaying the first counts of Savoy settling here in 1285. Over the years it has expanded, and today it is public administration center for the region. It is open to the public for tours and for concerts. Another important landmark in the city is the striking Fontaine des Éléphants, which was built in 1838 to honour Benoît de Boigne’s achievements while in India. The four life-size elephants converge at the base of a column in the shape of the Savoyan cross, and are topped by a statue of de Boigne. Found in the Haute-Savoie part in the Rhône-Alpes region of France, the town is located on the northern side of Lake Annecy. 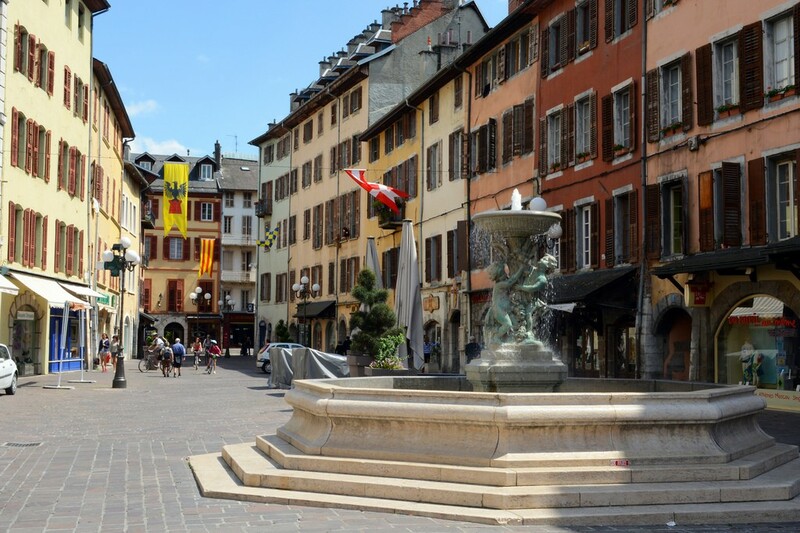 Annecy started as the capital of the county of Geneva, before it was integrated into the House of Savoy. It was also a key location during the counter-reformation. Nowadays, the town hosts the Annecy International Animated Film Festival, which was established in 1960. The Rencontres Internationales d’Annecy Cinéma and Architecture has also been held here since 1999. It was Alpine Town of the Year 2012. The surrounding wooded and often-snow-capped mountains include La Tournette, Le Parmelan and Le Mont Veyrier, and provide the town’s wonderful scenery. Because of this, Annecy is one of the world’s favourite locations for paragliding, and a number of competitions have been held there as a result. Landmarks in the town include the castle Palais de l’Isle, which is now a history museum, and the Château d’Annecy. 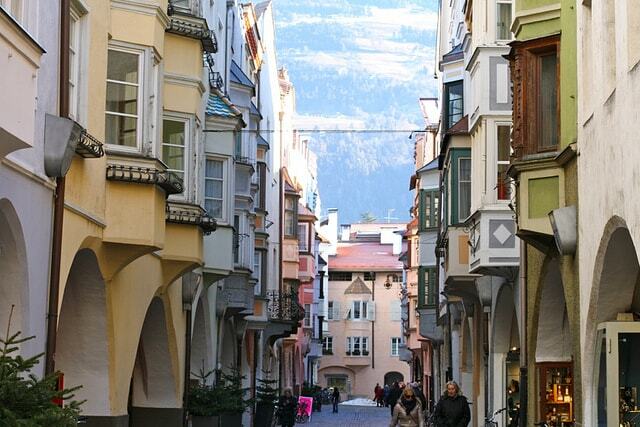 Bressanone, or Brixen, is the third-largest city and the oldest town in the region of South Tyrol in Italy. Located north of Bolzano, the town was first mentioned in a document in 901, and has a wealth of historical and cultural sites. An example of this is the 10th-century cathedral, which is decorated with Medieval and Renaissance frescoes. The cathedral was subsequently rebuilt in the Baroque style. Rodenegg Castle is also located nearby, which also boasts a number of exquisite frescoes. The town is situated at the confluence of the Eisack and Rienz rivers, and is home to a major skiing resort known as The Plose. There is also a Pharmacy Museum in the town, which has been run by the Peer family since 1787. With its gorgeous Christmas markets, orchards, and vineyards, there is a lot to love about this Alpine town.